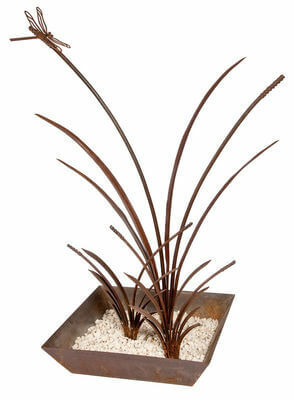 This Three Reeds in a Square Tray with a dragonfly garden art is made from mild steel which has developed a unique rust patina. It stands 700mm tall. Stones are included.